Almost 1 in 8 people who received hip replacement implants manufactured by DePuy Orthopedics, a subsidiary of Johnson & Johnson, face potential failure of their hip replacement system and the need for additional hip replacement surgery. On August 26, 2010, DePuy Orthopedics issued a voluntary recall of two models of its hip replacement devices, the ASR XL Acetabular System and the ASR Hip Resurfacing System. It has been estimated that these devices were implanted in 93,000 people worldwide between 2003 and 2010. 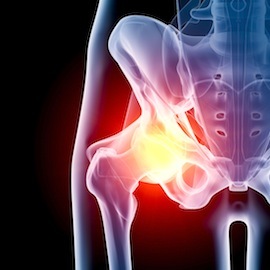 Data shows that 5 years after implantation, approximately 13% (1 in 8) who received the ASR total hip replacement and 12% (1 in 8) who received the ASR resurfacing device needed to have a revision surgery. Many individuals who had hip replacement surgery have recently received letters from their orthopedic surgeons, advising them of the potential problems associated with the DePuy hip replacement systems that were used in their surgeries. These letters advise the patient to schedule an appointment for further evaluation, which we encourage you to do. However, these letters are often accompanied by a medical authorization or medical release form, which allows DePuy to obtain your medical records and keep any removed hip implant in order to perform “testing” on the removed device. Patients should be wary of these forms, and not jeopardize current and future legal rights by signing any such documents for DePuy without first obtaining legal advice. The removed hip replacement implant could be a valuable piece of evidence that is needed to prove a defective product case. You do not have to sign documents for DePuy in order to have a recalled DePuy implant removed or testing done. The physician letters are also accompanied by a document entitled ASR XL Acetabular System and DePuy ASR Hip Resurfacing System Recall, prepared by DePuy to provide “Information for Patients.” In that document, it states, “DePuy intends to cover reasonable and customary costs of testing and treatment if you need services, including revision surgery, associated with the recall of ASR. Bills for services should first be submitted to your insurance company or Medicare in the usual manner and DePuy will then reimburse you for your out-of-pocket expenses.” Be wary of such statements, as this does not constitute full and fair compensation to which a person fitted with a defective hip replacement device is entitled. Our attorneys, who are experienced in handling cases involving defective medical devices, will seek compensation for your physical pain, suffering and impairment resulting from your having to undergo another hip replacement surgery, plus costs of replacement surgery, rehabilitation, and other financial losses resulting from damage caused by the defective DePuy implant. Elevated levels of cobalt, chromium and other metals in the bloodstream. If you received hip replacement surgery between 2003 and 2010, you should contact your surgeon to determine if you received a DePuy ASR hip replacement system. If you cannot recall who performed your hip replacement surgery, you should be able to obtain the information from either your primary care physician or the hospital where the surgery was performed. If you or a family member have already had to undergo hip replacement surgery for a defective DePuy hip replacement implant, or you have been told that your DePuy hip implant must be replaced, please contact us online or call us toll free at 1.800.320.2384 to set up a FREE consultation.